or "A Blend of Maniacs"
Personally I love to invent Collective Nouns, I have previously suggested a Commission of Salesmen, but now I offer to you a Twist of Worm Tubs, or in this case how about A Blend of Maniacs? 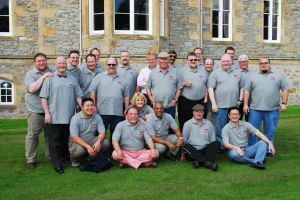 For my final mini-report on our 15th Anniversary Celebrations in Scotland I'm going to offer my own reflections on what was really a life-changing trip whilst focusing mainly on one part of our visit which I can best describe as taking the Malt Maniacs out of their usual comfort zone. For two and a half days of our 4 days of Celebrations Diageo hosted the Maniacs and not only offered a quite unique base for our event, but also opened a few doors that wouldn't usually be on any 'normal' visitors' tours. Yes, it was great to have the honour of visiting Roseisle and Mortlach distilleries, also Blair Athol & Dalwhinnie, but for me the first real eye-opener was their new Cambus Cooperage. We all know that Diageo are big, very big, but it's only when driving through acres and acres, or even square kilometres and square miles of warehousing and then mountains of casks that we realise just how big. 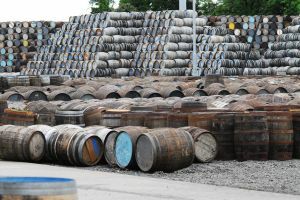 As we pondered literally mountains of casks awaiting rejuvenisation for refilling, one Maniac pointed to just one mountain and asked how long that particular one would last. Our guide thought for a couple of seconds and replied with "Oh, about two and a half, maybe three days". Such is the scale of this operation which can build from new or rejuvenate up to 1000 casks per day for filling to contribute to the 40,000 required casks per week! I have met a few Master Distillers and Master Blenders, one even threatens to kill me if I hold the glass incorrectly every time I see him. Others just prefer to sit more in the background and get on with their work. We were treated to an audience with one such Master Blender who definitely took us out of our comfort zone; well, we are Malt Maniacs and when we suddenly have to think blended whisky we are in slightly different territory. But first let's look at some more rather mind-numbing numbers; Diageo sell, so need to produce, 18.6 million cases of Johnnie Walker whisky each year, that's almost 225 million bottles! That's a lot of casks, a lot of bottles, a lot of distilleries and an impressive amount of business. In comparison, Diageo's whole Single Malt business equates to a third as much with 6.4 million cases per year. 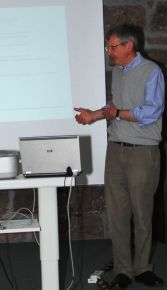 Jim very informedly explained some basic concepts behind blending and how, at the end of the day, each one of Diageo's distilleries is one single component, or colour on his palette with which he can further mix or blend to create his art. (The Artist metaphor is mine, not his.) Yes, as Maniacs we are delighted to have the choice of so many single malts on the market, but the raison d'etre for these malts is that they are components for Diageo's blended whiskies. The blend of Maniacs; Jim created a blend specifically for our visit. No, don't get ideas of an ultra rare Johnnie Walker or other blend being bottled for us. This was a very small scale blend served in glasses and not bottled as such. But first we were introduced to the individual components which included a 20y vatting of Highland malt, Talisker 25y, a 21y vatting of grain whisky, Auchroisk 20y and Rosebank 21y. Each was delightful in its own right but then we sampled Jim's blend of these components which clearly exhibited the finer points of each component, a true synergy. The more adventurous of us then proceeded to use the remains of our individual samples to create our own blend which always seemed to be rather heavy on the Talisker! Well, I did say we were out of comfort zone and that Talisker is bloomin' good! After our private blending session (did I mention most were heavy on the Talisker?) we were treated to a rather unique tasting. The first bottle was donated to the event by our very own (Blend Maniac) Ralfy and was a Johnnie Walker Red Label from the early 1960's. What a difference from the JW Red of today! Lots of nuttiness, toffee and a light smokiness whilst also being slightly grassy and then a mouth-coating fudginess on the palate. A total contrast to the rather lighter and more crisp character of today's. And now for something completely different; A JW Fest of four rather exclusive expressions. Each year Jim and his team create a one-off bottling for the JW Directors. Each is limited to a maximum of 500 bottles and given only to the Directors of Johnnie Walker for them to use as they wish. But more than that, each year's expression is created to show the influence that various components or interactions can have on the final blend. 2008 Directors' Blend; The focus here was grain whisky and the blend does indeed have a solid grain influence with a fresh nose offering lots of vanilla and butterscotch, whilst the palate offers a slightly dry grassiness and lots more mouth-coating butterscotch. 85 Points from me. 2009 Directors' Blend; 2009's focus was Highland and Isalnd Smokiness and yes, it also succeeded here with lots of lightly perfumed smokiness on the nose. Then apple, raspberry, smooth creamy vanilla sauce or custard and that lovely gentle smokiness on the palate. 87 Points from me. 2010 Directors' Blend; Speyside fruitiness was the focus in 2010 and yes, it has lots of zing, a typically complex Speyside nose with a bowl full of fruits which all translated well onto the palate and were joined by a very light pepperiness. 86 Points from me. 2011 Directors' Blend; Wood was the word for 2011 with a nose of apricot, vanilla, butterscotch and believe it or not; oak! The palate was a delight of lightly flowered perfumes and what I can only describe as vanilla wood. Wonderful and 87 points from me. Following this tasting it is rumoured that Diageo received 22 applications for Director positions with Johnnie Walker. Slàinte Mhath and Long live the Blend Maniacs! or "Ha, hustled by a firt timer"
I'm sure you've all seen the film, maybe some have been there, done that and bought the T-shirt. 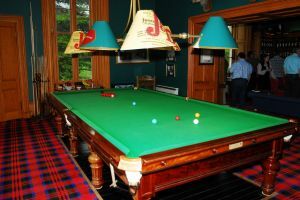 There I was occupying a rather comfy sofa by the snooker table in the drawing room, thoroughly enjoying a trilogy of Rosebanks when I overheard two Maniacs discussing not whisky, but the possibility of playing a game of snooker. Maniac 1: Fancy a game? Maniac 2: Well, yeah, but can you tell me the rules, I've never played before. At this point I temporarily abandoned my enthralling trilogy and clarifed the object of the game and a few rules for both Maniacs. Let the game begin: Maniac 1 started well but somehow our first timer Maniac 2 managed to keep within reach. A rather exciting game of many reds and even a few colours soon left Maniac 1 16 points ahead with only 18 points left on the table (Blue, Pink and Black balls). After Maniac 1 clarified that Maniac 2 needed all three balls to win by a mere 2 points, Maniac 2 addressed the table, head down and very coolly (I stress very coolly) eased himself around the table and potted all three required balls with the highest break of the game to leave poor old Maniac 1 shocked, stunned and totally shattered. First game indeed ??? But what about my trilogy of Rosebanks? As it happens, the oldest of the three was the least typical of Rosebank. Lots of sherried notes including furniture polish, banana stem and even leather, faint coffee and chocolate seemed to prevail. The palate was dry and very mouth-coating with dark cherries and a quite floral woodiness. 85 Points from me. The youngest of the three was the Rare Malts 20y and offered a much lighter style of nutty, creamy, perfumed grassiness. Very light, very nice indeed and 87 points from me. Finally, the 21y variant was awash with a lightly perfumed citrus grassiness, lots of floral herbiness, creamy apple pie and vanilla. An absolute gem and well worthy of my 88 points. or "Anoraks, Bottles and a Castle"
or, or "Anoraks get slammed in The Vaults"
I'm safely home and now digesting this incredible experience, trying to put my thoughts into some kind of order. I was hoping that almost a week in Scotland with the largest group of Certified Maniacs ever gathered together would be quite amazing, perhaps almost life-changing and guess what? It didn't disappoint on either front. As I compose my thoughts I'll add a few features, I refuse to say highlights as each and every minute was a highlight, but if you want a good overview then my good friend Oliver Klimek has posted an excellent one here.. The official start to our celebration was arranged for Monday evening with a short tasting of three whiskies followed by a long tasting of dinner in a private room at the SMWS Vaults in Edinburgh. Well, we're Maniacs so not all plans went according to expectation, especially when it came to a short tasting. Our Master of Ceremonies for the evening was Charlie Maclean who did an admirable job of welcoming us with a glass of 64.30 which was a rather good Mannochmore with much more class and character than I'm used to from this distillery. Second up was a rather fetching 35.62 which was filled with a light pepperiness and lots of apple crumble and custard. A jolly good Glen Moray which I scored 86 points. Next in our glasses was a slightly rarer dram dressed in the older SMWS presentation as this was distilled in 1977 and bottled in 1998, yes a 21y 69.6 tantalised our palates with light pepper, oodles of fruit and just slightly herbal apples. A fine Glen Albyn which also acquired 86 points from me. A 53.164 then stunned our palates with not only peat and a rubberiness, but big bursts of fruitiness which included some very lively raspberry. This Caol Ila definitely upped the bar with a worthy 87 points from me. Our next whisky was held back and served with coffee at the end of the dinner and what a great decision from Charlie that was. The 105.19 had not only heavily sherried characteristics, but also some incredible floral notes and a hint of red grapes which caressed the palate through the rich sherry notes. A truly wonderful Tormore which deserved my 87 points. Our final official (well, we are Maniacs) dram of the evening turned out to up the bar even further as the 29.102 just blasted us into submission with an armoury including vanilla cream, sherry, creme brulée, herbs, dark cherries, a light dry rubberiness, dark chocolate, coffee beans, damson and, as one would expect from any serious armoury; cordite! An astounding 12y Laphroaig indeed and a snip at 88 points from me. Slàinte Mhath and let the celebrations begin! 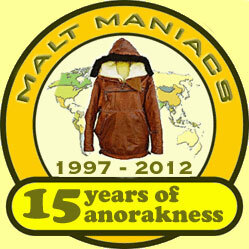 or "Where else but Scotland"
It's official The Malt Maniacs have been anorakking (is that a word? 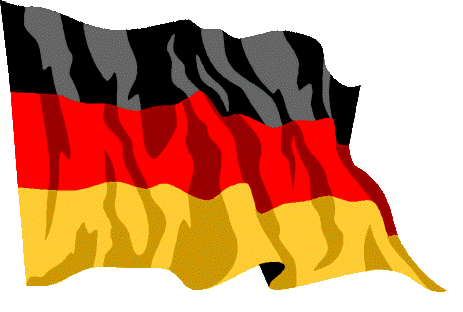 It is now) since 1997 which means 2012 sees our 15y anniversary. 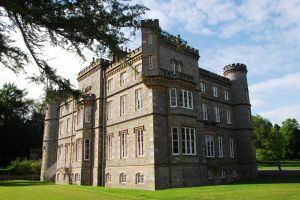 What better way to celebrate it than with a trip to Scotland? In fact we are creating the largest real-life meeting of certified Maniacs ever witnessed. The weather forecast says showers so I guess we'll be taking our anoraks. Wish us well and more upon my return in a week. or "Independence, Integrity & Me"
It seems that every so often there's a recurrence of certain discussion topics around the world or concept of whisky blogging and commentating. One such old chestnut has recently bubbled up to the surface once again; that of Independence. But what is Independence? Well, for me it means not being connected with the whisky trade in any way and not earning any money from it. I don't even have any advertising revenue from Whisky Emporium, although I don't see any other blog or website owner who does have google ads or something similar as not being independent over this. It's just a personal thing with me where I don't currently want them on my website. My web hosting is relatively inexpensive and I'm happy to pay for this myself. Integrity? 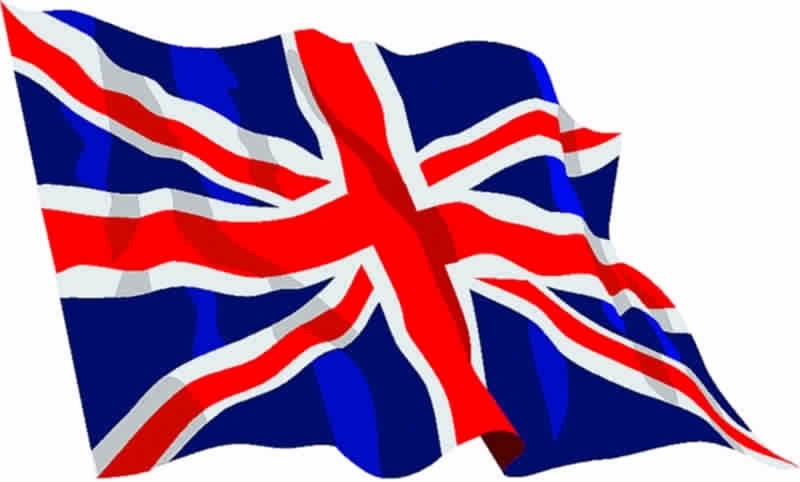 Now here's a lovely word and a very closely related theme to independence, although I see them as two individual aspects. What the hell am I talking about? Well, if I should receive a free sample from someone, whether a friend, a whisky shop or even a marketing arm of a whisky producer, can I still honestly review it? I know we would all like to say "yes" and I am indeed saying so. I do honestly give 100% honest reviews 100% of the time, whether the sample has been given to me, swapped with another whisky friend or, as in the majority of cases when I bought it. What if I upset someone with a bad review? I also believe that if I were to give a false review and maybe a few extra points here or there, this would compromise my integrity even more! Then none of my reviews would be trusted, whether good or bad. I won't even consider going down that route and quite honestly, I would soon lose any respect for someone not expecting an honest review for their whisky. This brings me to the subject of samples and trips? It seems to me that lots of people think whisky bloggers don't have to work and just live a life of one trip or free sample after another. Let's just put this misnomer to rest from my personal experience; in fact it's quite an apt time for me as my post below was about such a trip. In the almost three years that Whisky Emporium has been running as my whisky review, article and commentary website I have been offered two trips. The first was in Autumn of 2010 which I gladly accepted and spent two days in the back of a van driving quite literally the length of Scotland and visiting three distilleries en route. The second trip was just a few days ago when I was invited to a two hour event in London to experience the launch of some new whisky products. I knew only minimal details beforehand, like the distillery and the fact that this was a series of new Duty Free or Travel Retail bottlings, but that was all. 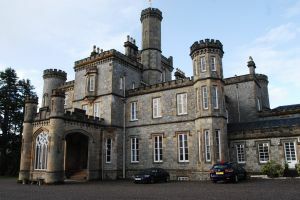 I just couldn't resist the opportunity to visit a truly unique location which is not usually open to the public and in addition, the usual profile of Dalmore is one that I generally like in my whisky. So, two trips in three years and again, if I'm honest, I really can't manage more than this as I have to consider precious days off from work which would usually be spent enjoying time and holidays with my wife. But once again, can I write an unbiased review of whiskies presented in this way? You bet I can and yes, those were four truly excellent whiskies. Shame about the price though. But that's a different topic for another day. As for samples; yes I do receive a few, emphasis on few but don't treat this as a complaint, I'm not begging or even asking for more. There are three, maybe four companies who tend to send me occasional samples and I'm happy to receive them and again, write honest reviews of them. Yes, I have written bad as well as good reviews here. So, why do I feel the need to write this article? Do I have some secretly guilty conscience? Not at all, I just want to put a few things straight as I sit here looking at around 60 sample bottles on my desk of which 8 were given to me. Two from a fellow enthusiast and blogger (thanks Steffen) and six from an independent bottler who I met at Limburg for the first time last weekend. Finally, thanks also to Steffen for allowing me to use his excellent picture of me and Ben at Limburg last Sunday. Ben? 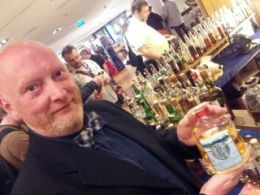 That's Ben Wyvis from Signatory which I bought and paid more for a 2cl sample than the majority of people pay to enter a whisky festival for an entire weekend. or "sandwiched between a Crown Prince and the Glitterati whilst being called normal"
Yesterday evening I had the very real pleasures of visiting a quite unique location, trying some rather unique (and expensive) whiskies and, at the same time being called a normal person. I've spent most of my adult life trying to promote at least a hint of eccentricity and suddenly I'm being told I'm a normal person. All right, I was in illustrious company and as I mentioned a truly unique location; one which is the official starting and finishing point of The Queen's State visits. "Welcome to The Royal Suite at Heathrow" our hosts offered over a champagne reception, then adding "you are the first ever normal members of the public to be allowed into this suite. In fact a Crown Prince has just passed through and we're expecting some other guests quite soon". At which point a private jet rolled in and parked just a few yards from the said Prince's slightly larger private jet. OK, so I accept normal can can be a quite comparative term. But why were we there? Yesterday, Tuesday May 1st was the official launch day for Dalmore's new Constellation Collection; a series of 21 different bottlings or expressions which will be released over five years and which will include a total of around 20,000 bottles, so around 4,000 bottles each year and World Duty Free Group, whose main tax and duty free store is at Heathrow's Terminal 5 has initial exclusivity and also all the number 1 & number 8 bottles. We were introduced to four of the expressions by Whyte & Mackay's Master Blender himself; Richard (hold the glass like this and I'll kill you) Paterson who is obviously as passionate as ever about his creations, but are they any good? Well, let's not beat about the bush here, these are four bloody good whiskies, in fact three of them are what I call "Great" which means they hit at least 90 points on my scoring scale and that's no mean feat indeed. The 1992 has had nine years in port pipes and a jumbo outrun of 747 bottles. It was the lightest of the four tasted with lots of wine, fruit and cherries. It's silky smooth and quite amazingly concentrates totally on the roof of the palate. This is not only an extremely interesting whisky, but an excellent one too with 89 points from me. The 1973 has a myriad of aromas and flavours which include citrus elements of oil of orange and lime zest over blackcurrant and plum, maybe even damson. After time in the glass these expand to include hints of hazelnut, vanilla and creme brulée. The palate is slightly dry but this works exceptionally well with the rich creminess and fruitiness. 90 Points from me makes this a "Great". The 1969 begins with a burst of early summertime Alpine flora which is soon joined by damson, oil of orange, mango (or is it papaya?) and a creamy toffeeness. This is stunningly good and well deserving of 92 points from me. Finally, the 1964 again offers an incredible amount of flora alongside orange and various spices which include cardamom and cumin. The palate is slightly dry with generous hints of blood orange and chocolate. I think I just fell in love with this whisky! 93 Points and another "Great". What better way to whet the appetite for some drams that true dreams are made of than to visit the whisky fair? No, not just any old whisky fair, but The whisky fair. Distillery 'OB' stands are in a very small minority as Limburg is more about the independents, meaning not only independent bottlers, but also independent sellers specialising in long-forgotten, long-lost and often very hard to come by bottlings, many of which are open and sold by the dram. Ahh yes samples, welcome to one of my favourite complaints when it comes to whisky festivals; so often I hear about events where sample bottles just aren't allowed, either because the event is an all-inclusive pay one fee and drink what you like, or because of some strange concept that people call responsible drinking. Responsible drinking? Well, it seems I'm allowed to enter an event and drink as much as I like for a single small fee and have to pay nothing more. Whereas when I'm willing to pay for the actual whiskies separately, fill them into small sample bottles and take them home to savour at leisure in my own time and across maybe a few days, I'm considered irresponsible? Let me just say I paid more for a single 2cl sample of that Ben Wyvis than many people have to pay for entry into other whisky festivals. Did I say festivals? By definition a festival is an event spanning multiple days, as opposed to an event spanning a few hours which would normally be called a tasting. OK, I'll climb down from my soap box now. Limburg 2012; Did it work for me? You bet it did and I can't wait to go back again and as a final note to any of those brilliant independent specialists of rarities and whet dreams; I still have Dunglass, Islebrae, Killyloch, Kininvie and Hazelwood on my wish-list.